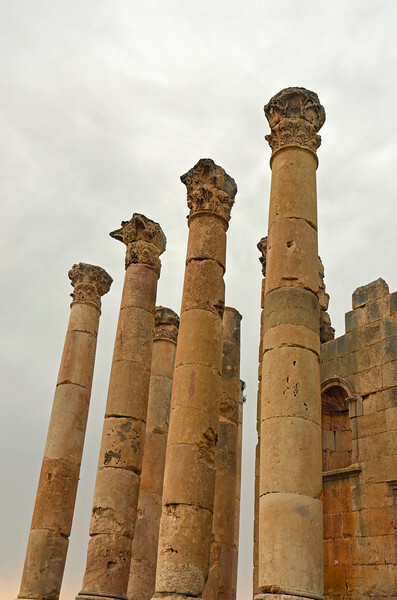 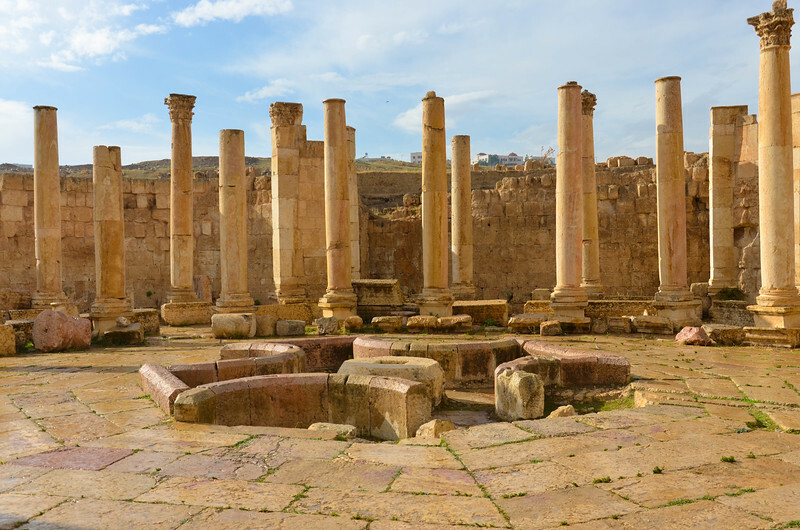 The modern day Jerash in Jordan is the site of the Greco-Roman city of Gerasa. 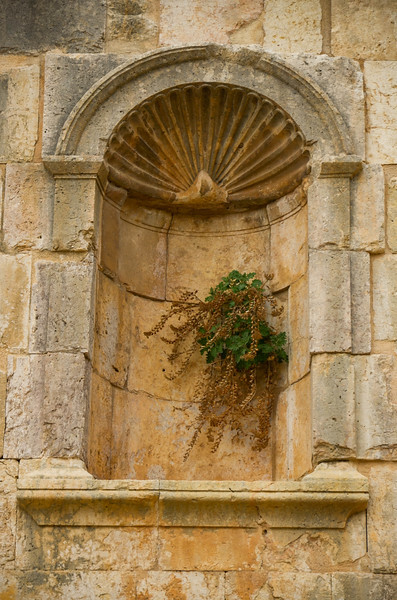 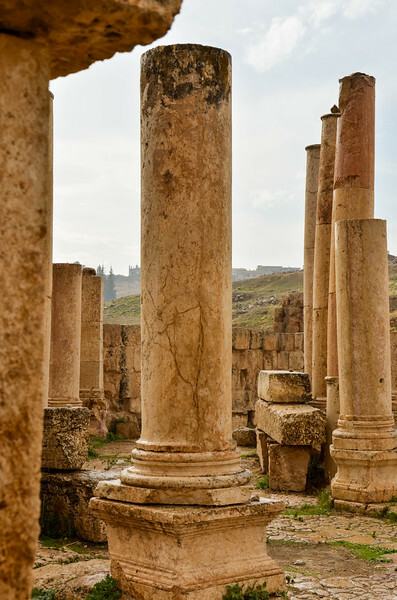 The city was founded in 2000 BC, largely destroyed by an earthquake in 749 AD, and essentially abandoned and forgotten about until it was rediscovered in 1806. 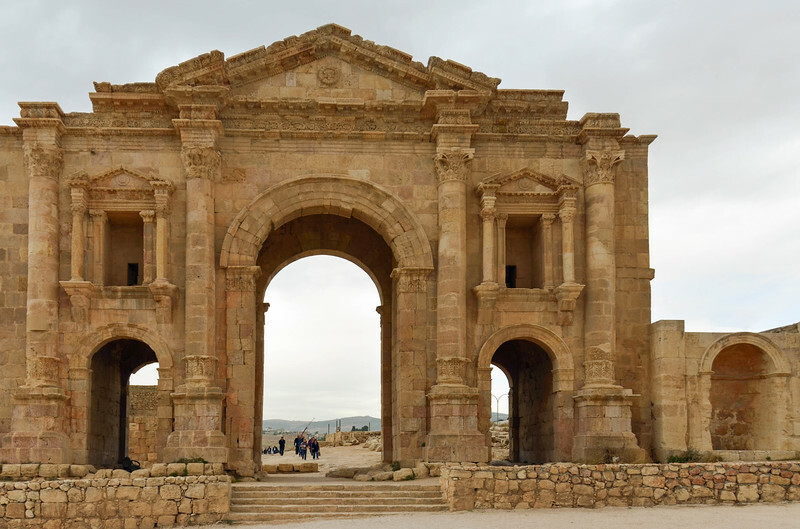 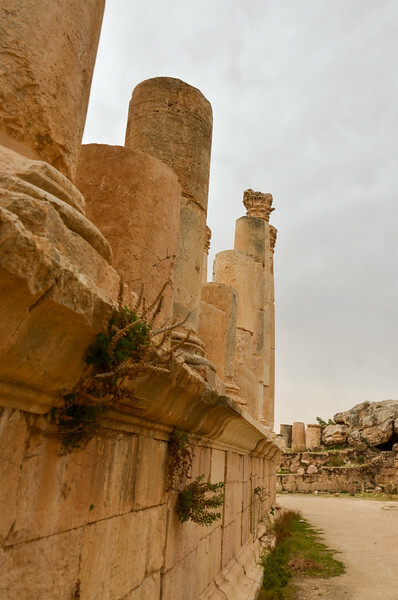 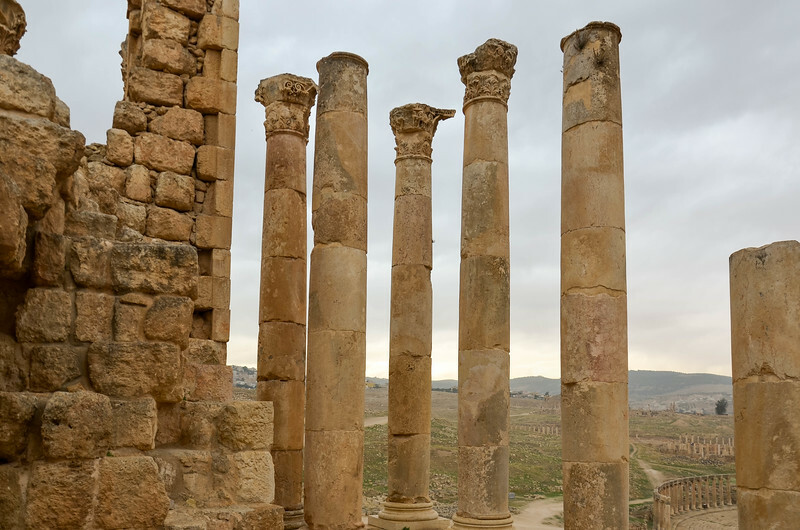 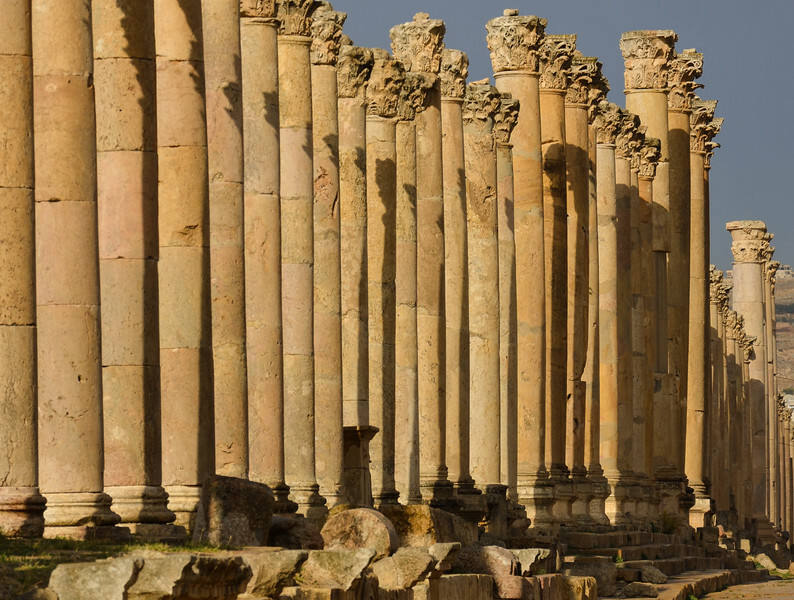 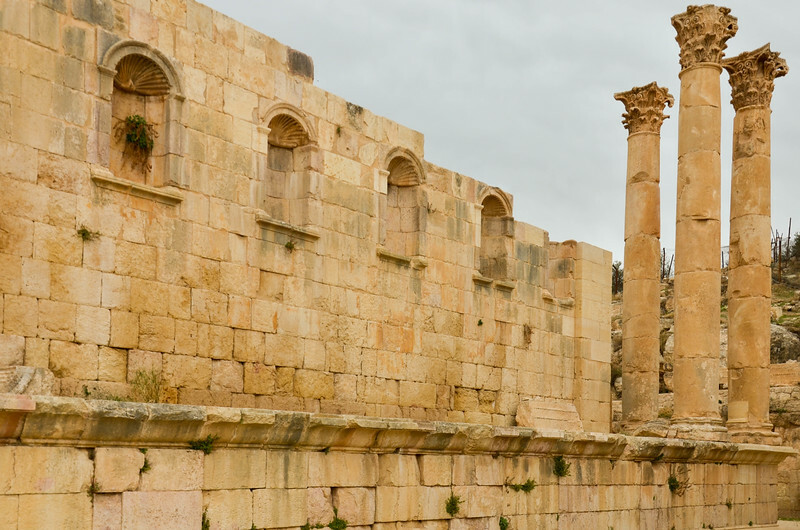 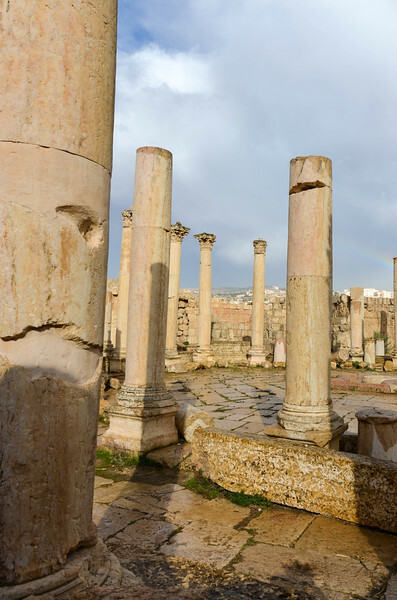 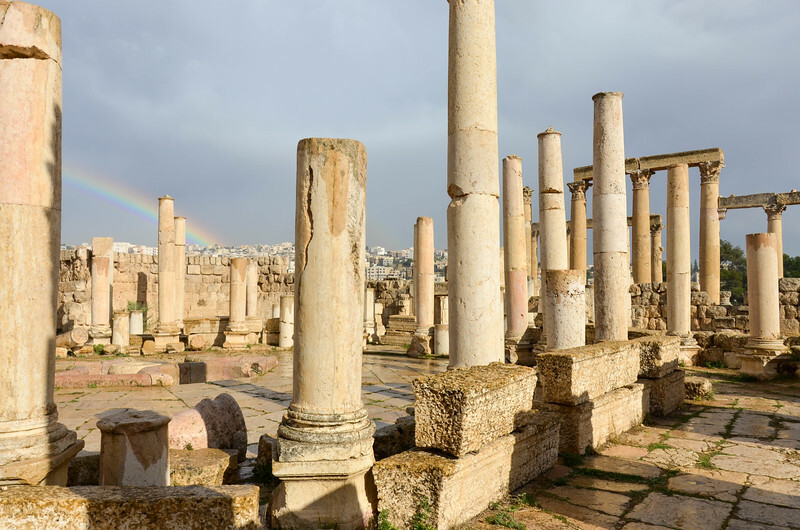 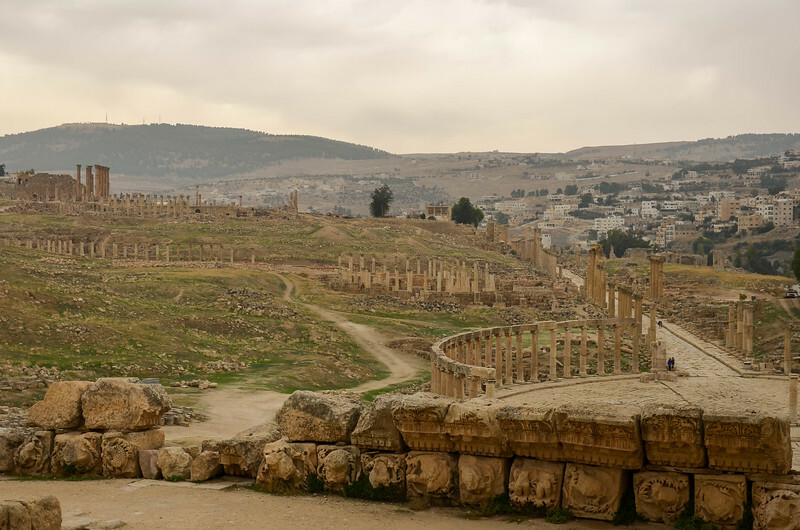 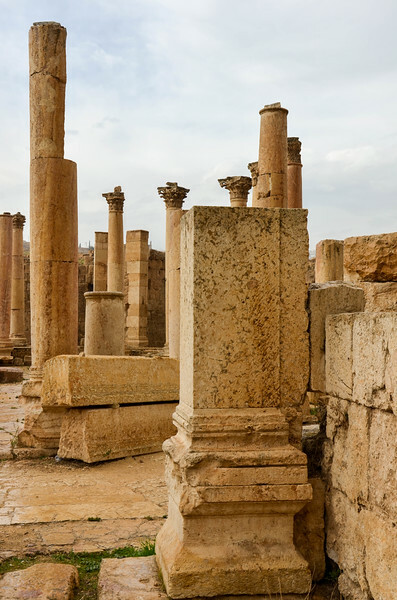 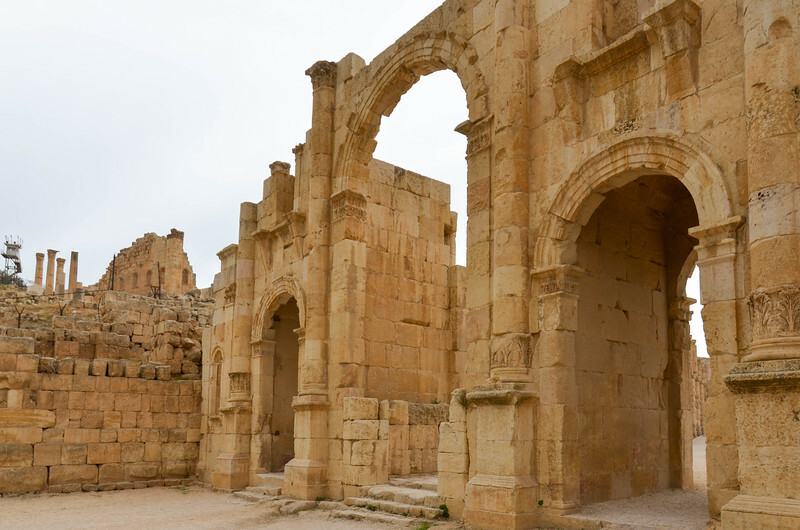 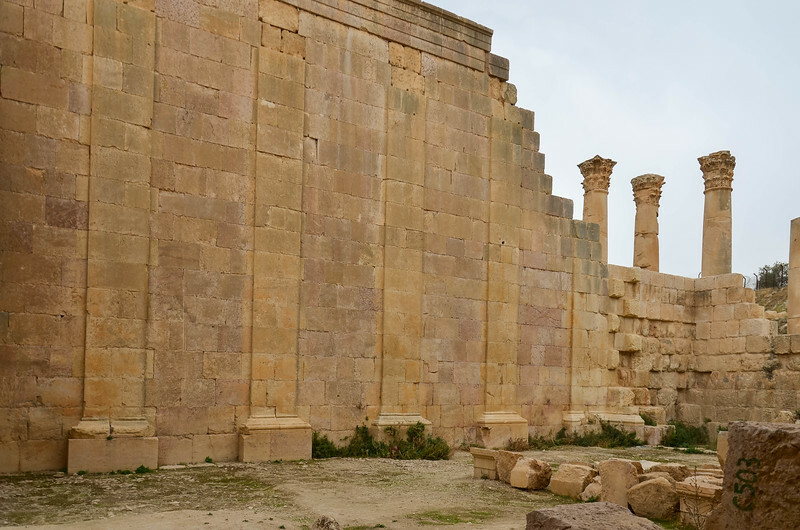 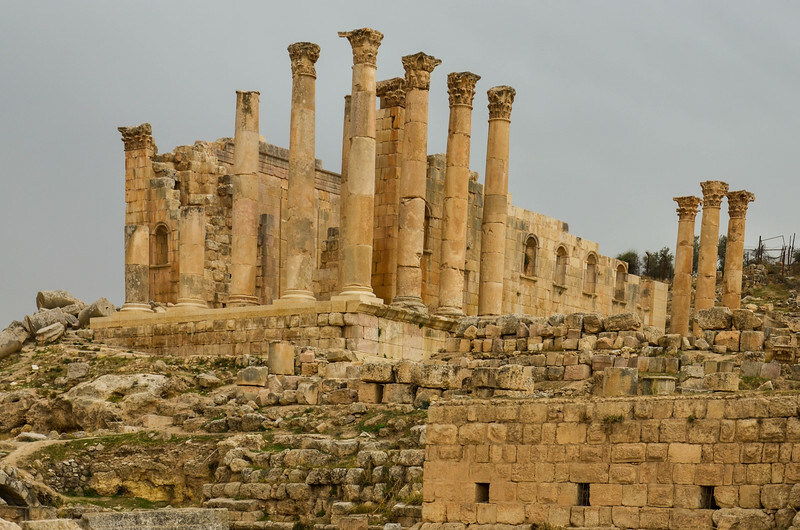 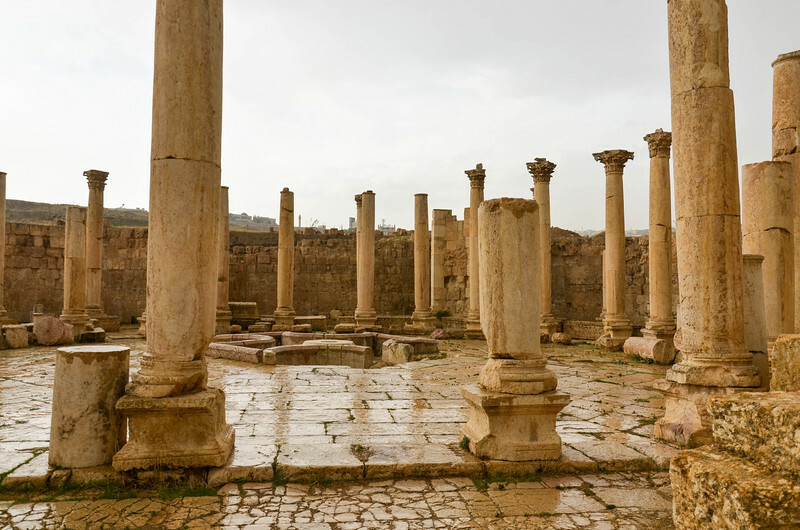 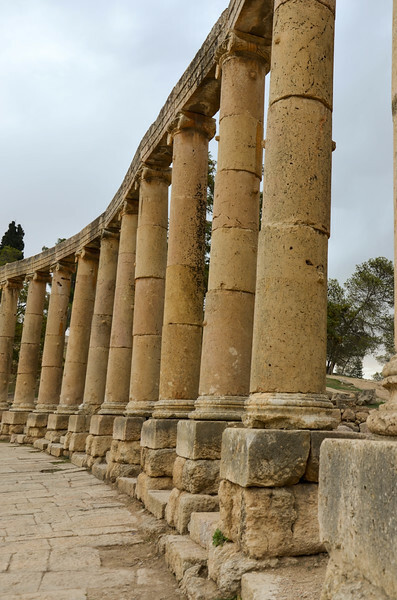 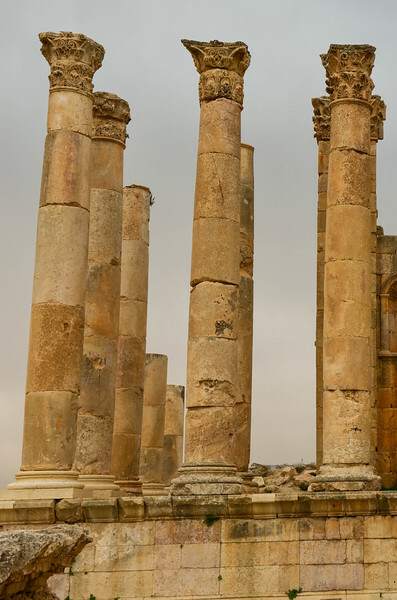 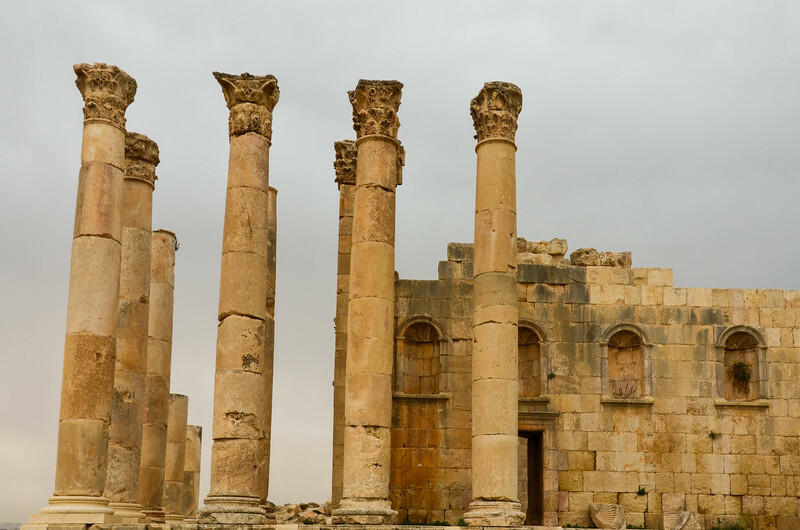 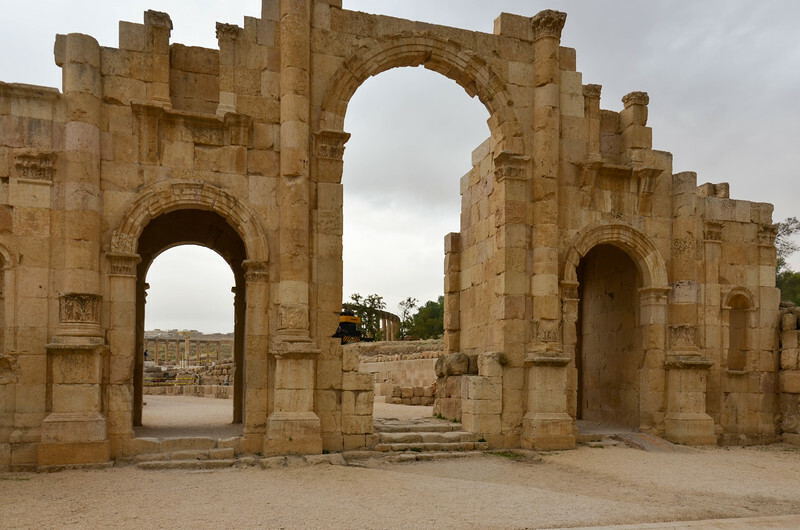 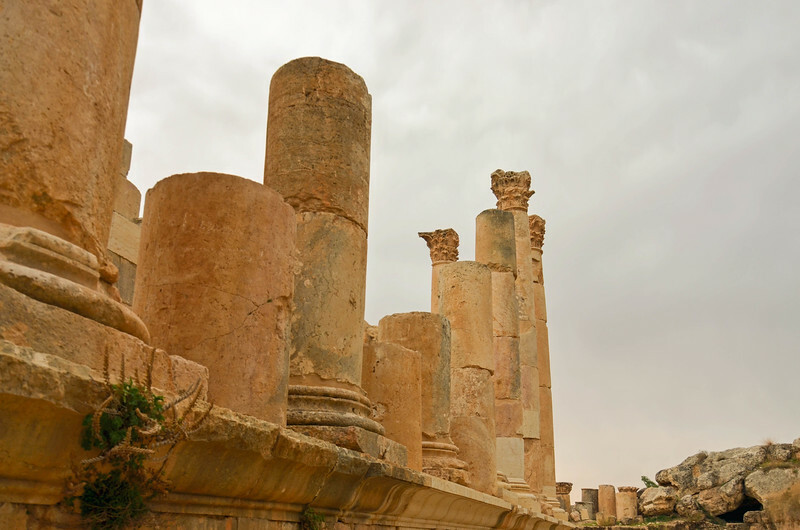 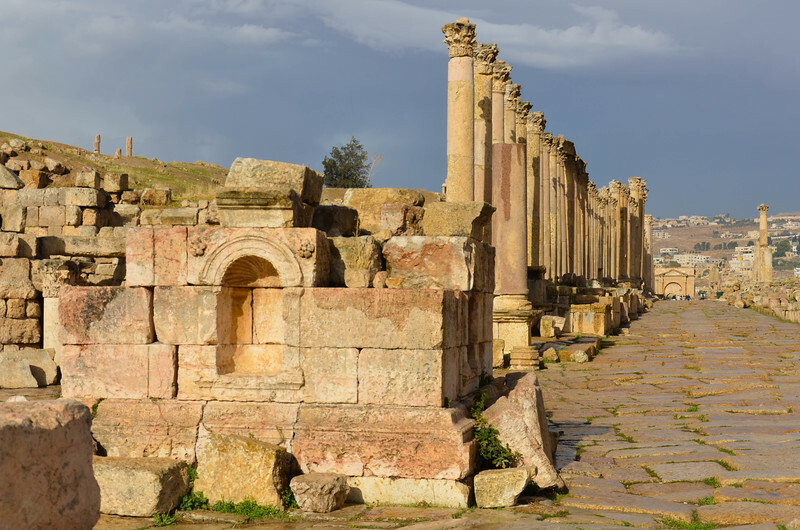 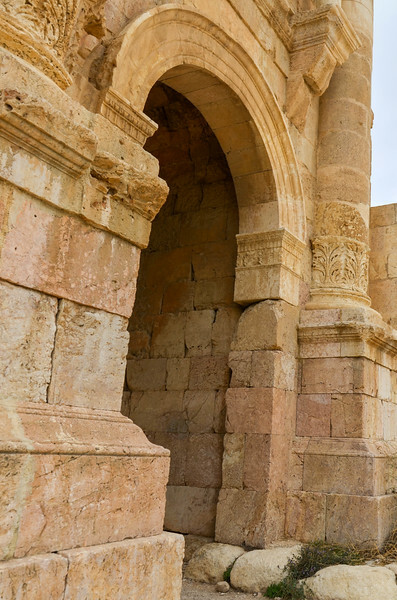 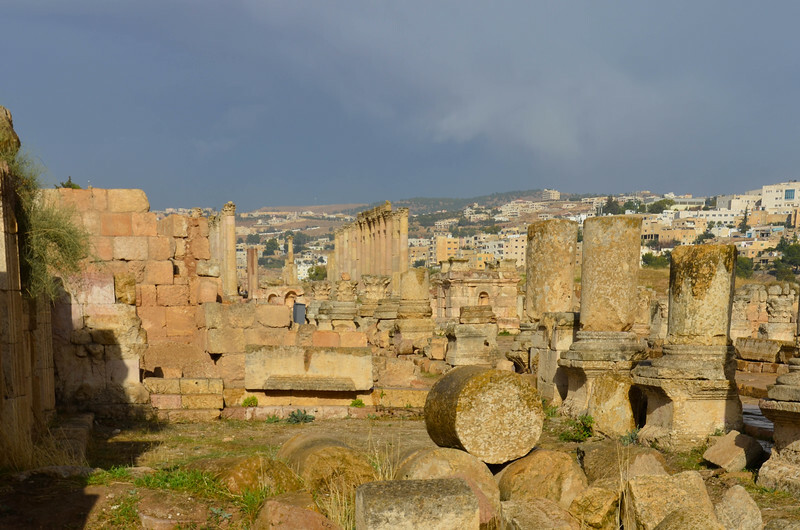 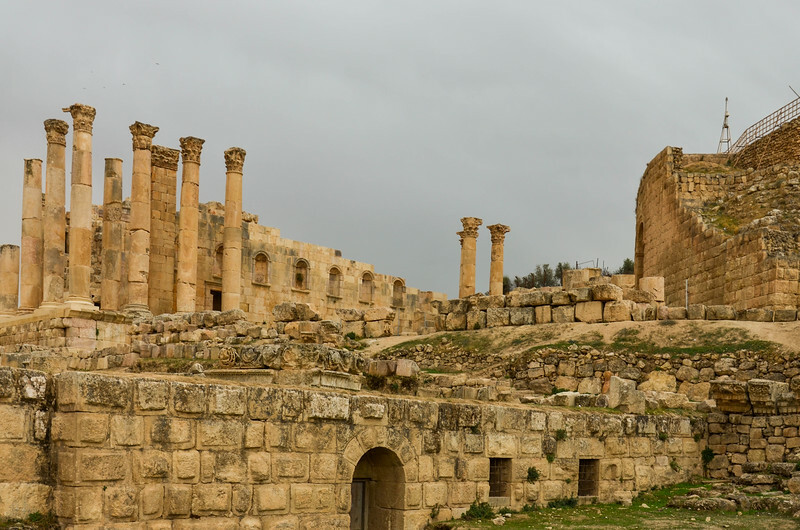 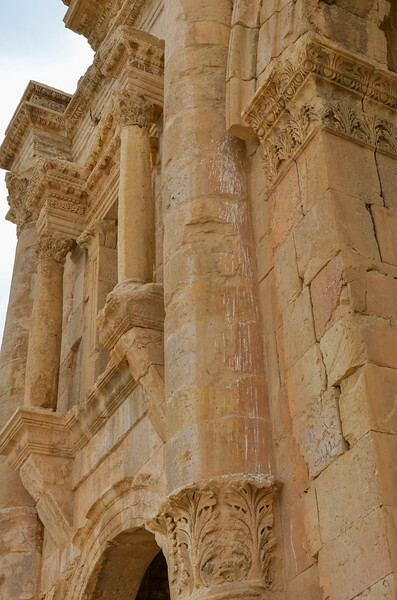 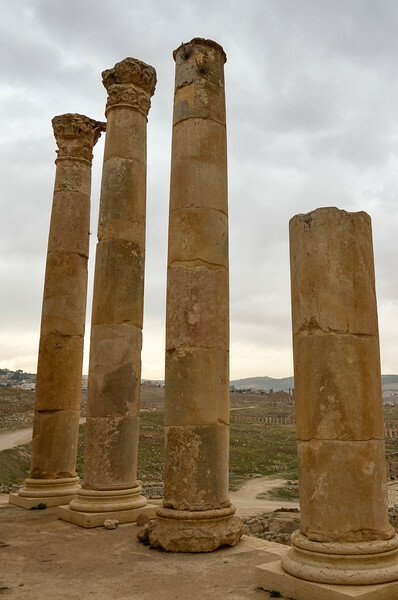 Jerash is recognized as one of the most extensively preserved Roman cities, and ongoing excavations continue to uncover more of the city's structures. 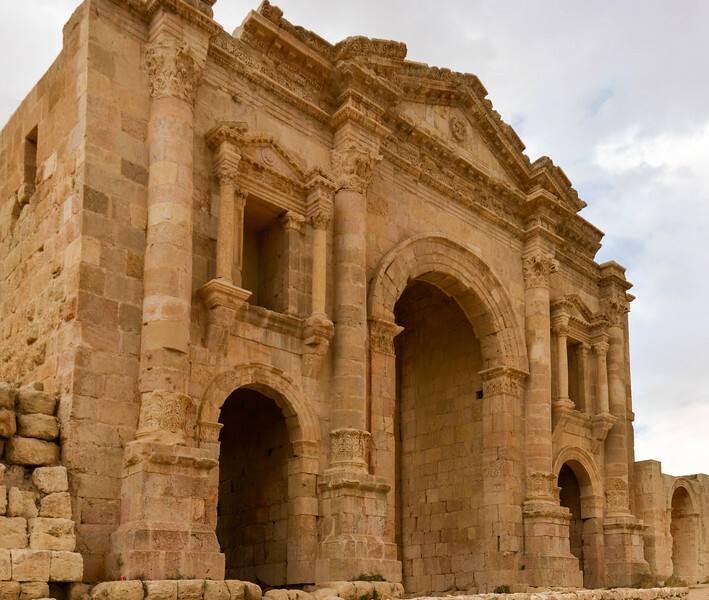 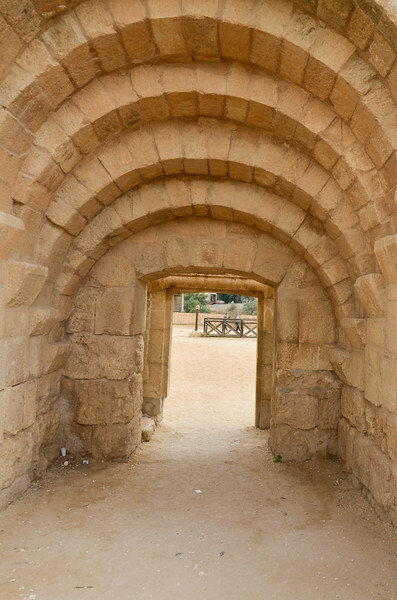 Hadrian's Arch – Built in 129 AD to commemorate the visit of Emperor Hadrian to the city. 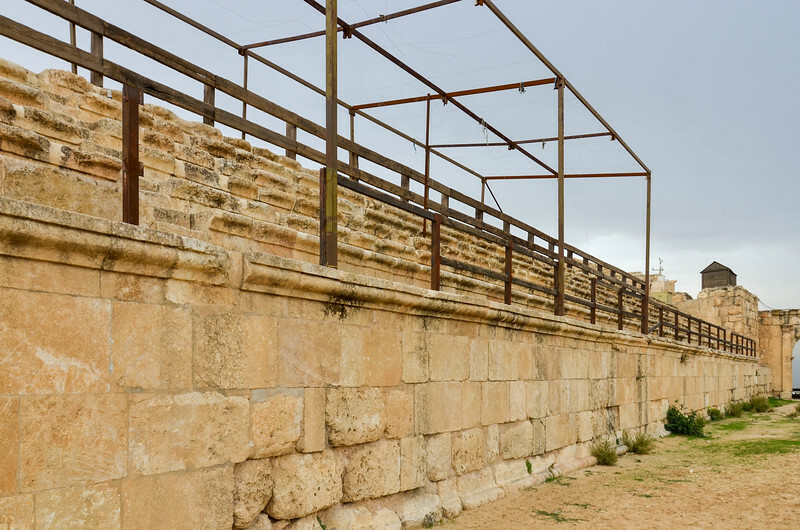 The Hippodrome, an arena built between the mid-2nd and 3rd centuries AD. 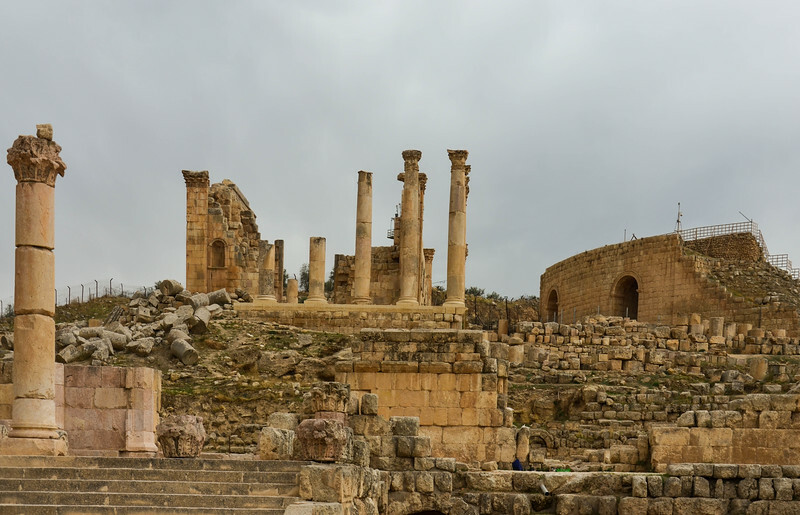 It allowed up to 15,000 sports fans to watch races and other athletic events. 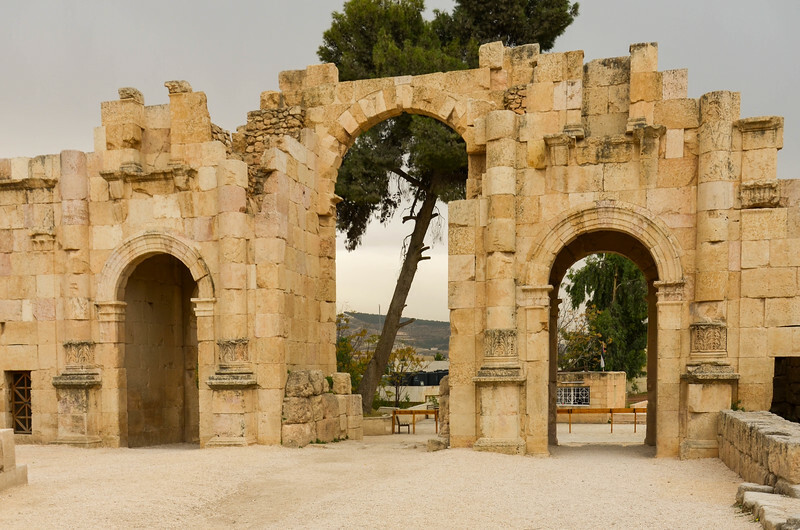 The city walls and South Gate, which date to 130 AD. 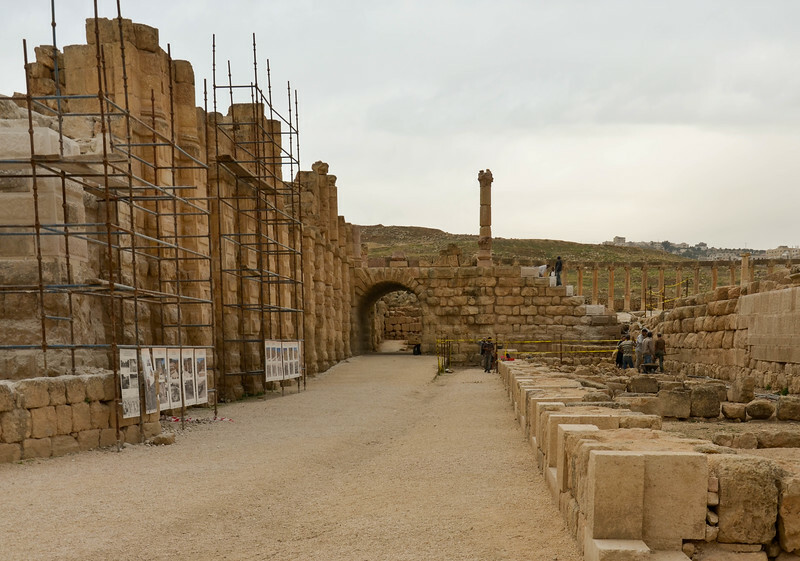 Ongoing restoration work in an area just inside the South Gate, which was probably used as a marketplace. 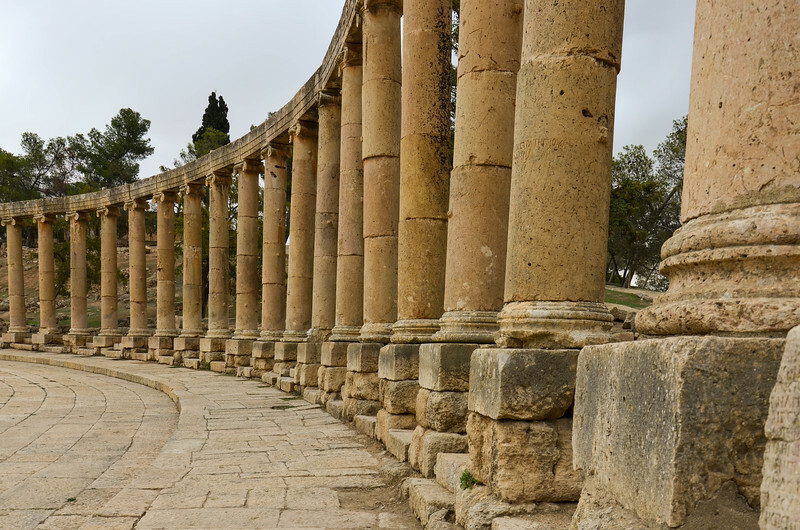 The massive 80m × 90m oval plaza, surrounded by a colonnade of 1st century Ionic columns. 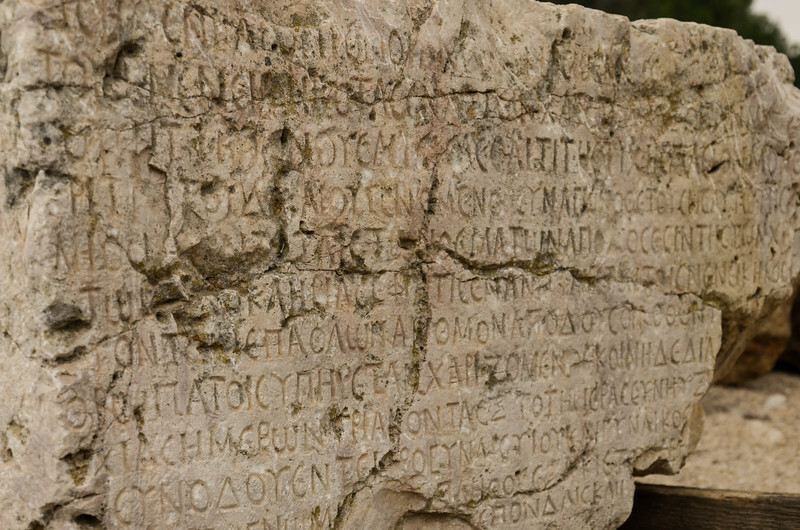 Inscription on the base of one of the Oval Plaza columns. 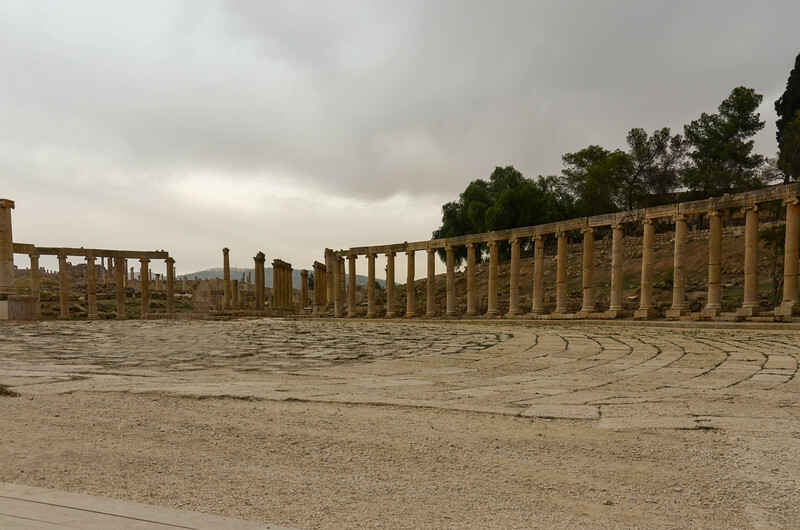 The Temple of Zeus and back side of the South Theatre, as seen from the Oval Plaza. 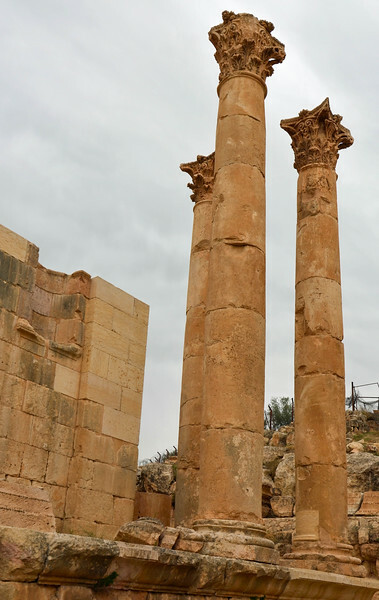 The Temple of Zeus, as seen from the Oval Plaza. 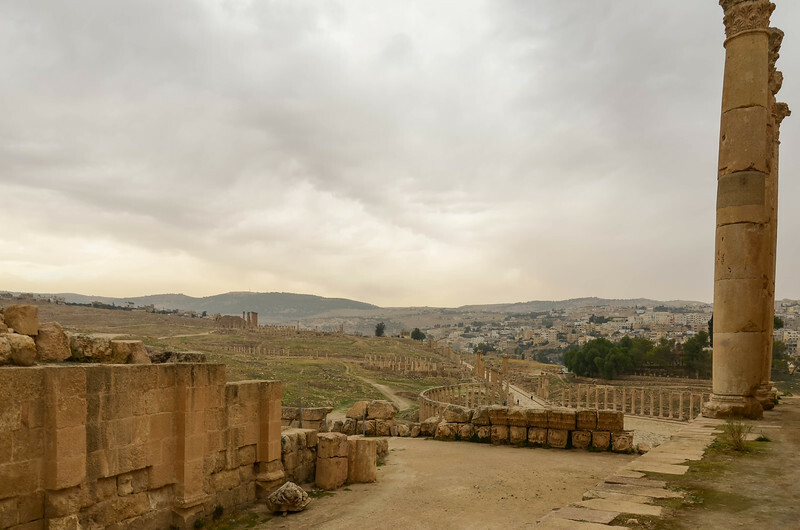 A view of the ruins at Jerash from the Temple of Zeus. 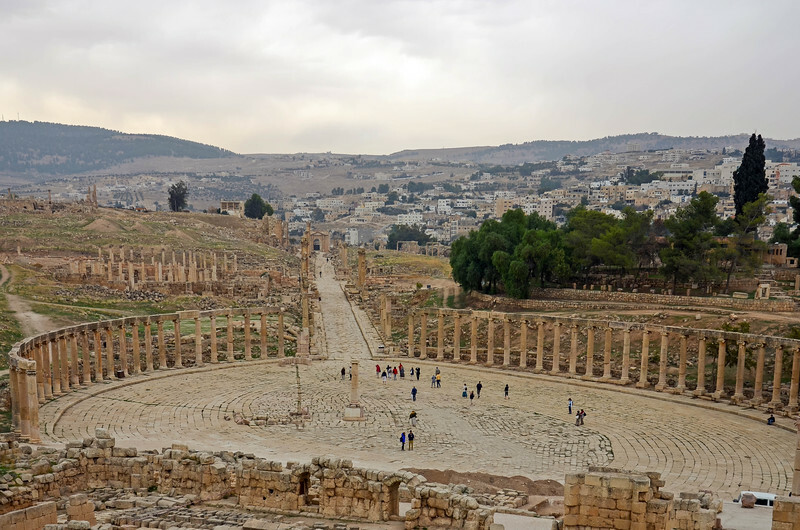 The Oval Plaza and Cardo, as seen from the Temple of Zeus. 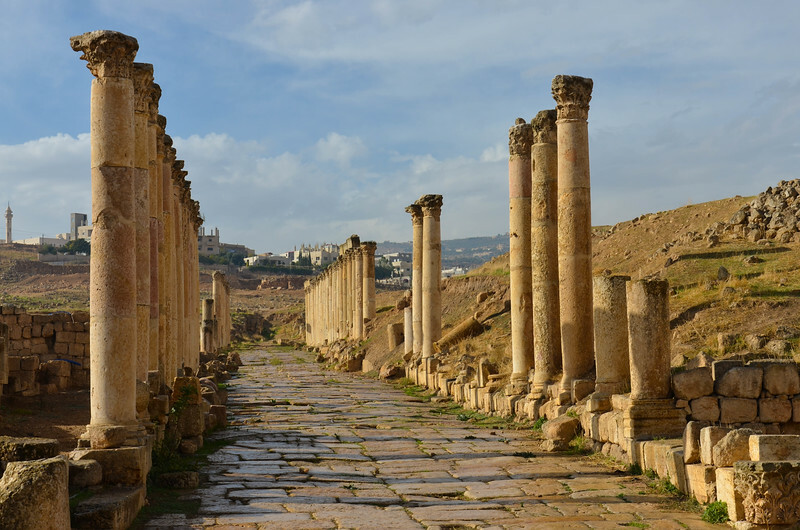 The Cardo, the main street of Jerash, as it heads north from the Oval Plaza. 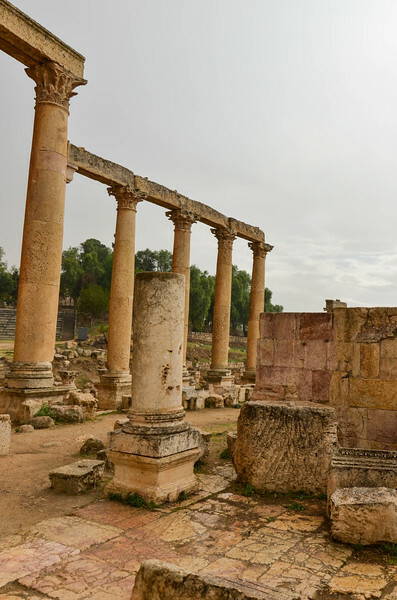 The Macellum, a market area, dates to 211 AD. 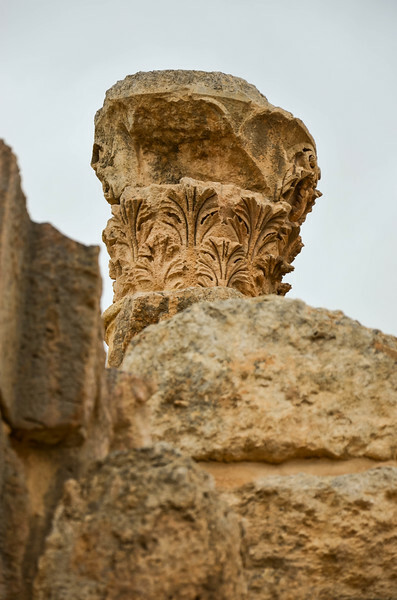 Looking up the Cardo from the Macellum. 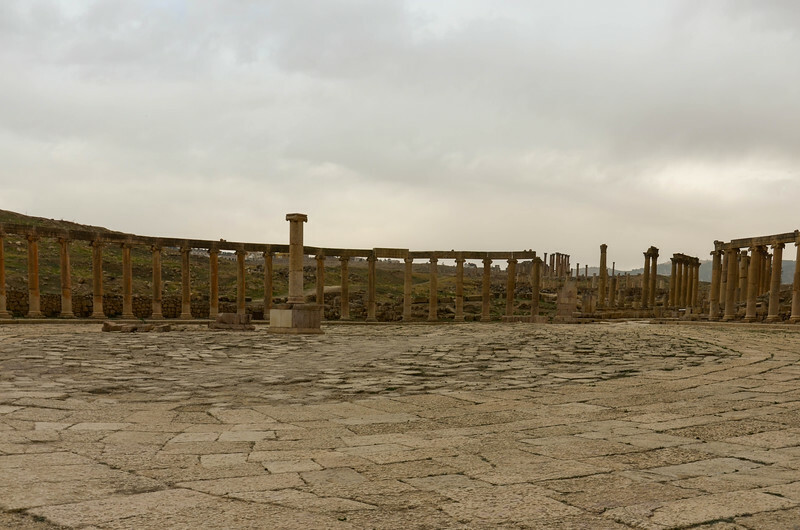 A view north along the Cardo from the South Tetrapylon, where the Cardo crosses the South Decumanus. 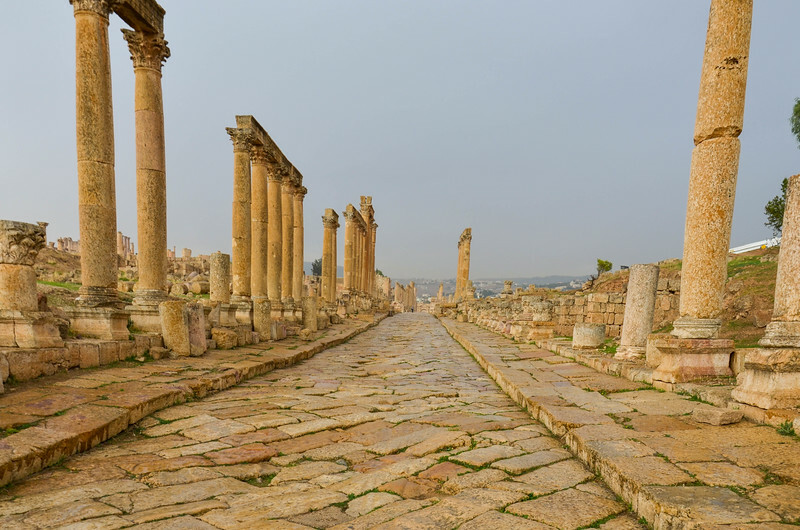 The South Decumanus, the southern cross street running west-east through the city. 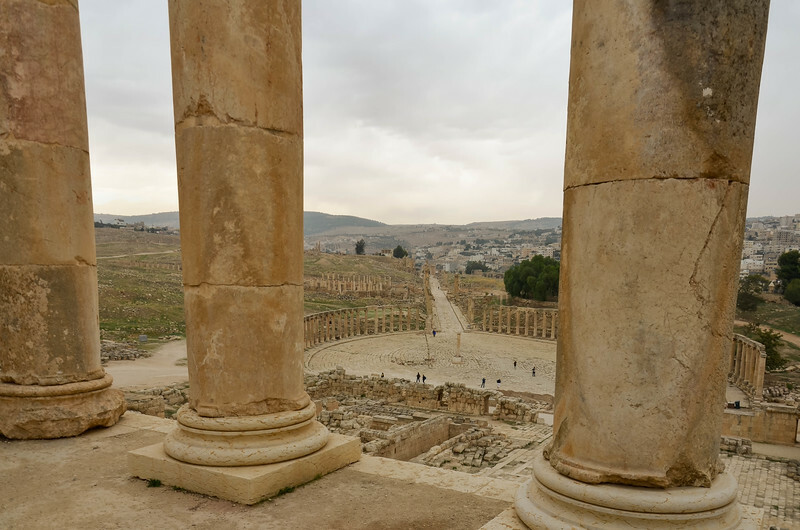 A view north along the Cardo from the South Tetrapylon to the North Tetrapylon.